Search Engine Optimization (SEO) is an important long-term strategy that every business should embrace in order to maintain online relevance and position. However, it takes time for new websites and webpages to get indexed and displayed favorably by Search Engines. 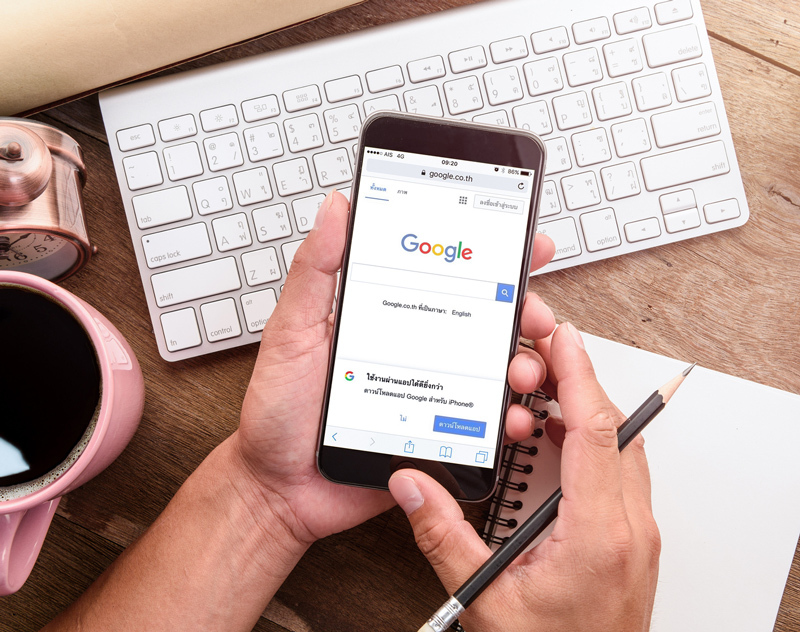 With Adwords sponsored advertising, on the other hand, viewers will see your message at the top of a desired Google search or displayed on their favorite blog. This means, as an advertiser, you can begin to get views and clicks from prospective customers right away. At Sprout Digital, we believe that a well-planned SEO strategy goes hand-in-hand with a paid Google Adwords advertising campaign to create a successful online marketing plan for our clients. 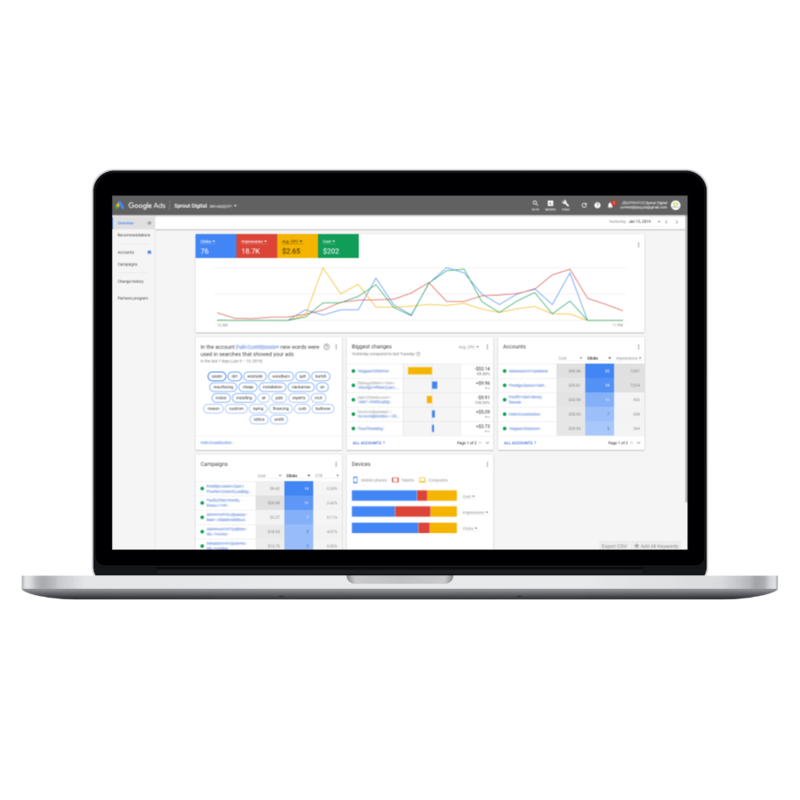 AdWords is a paid advertising solution that helps businesses reach their ideal customer when they are visiting related websites or conducting a search for a specific product or service. 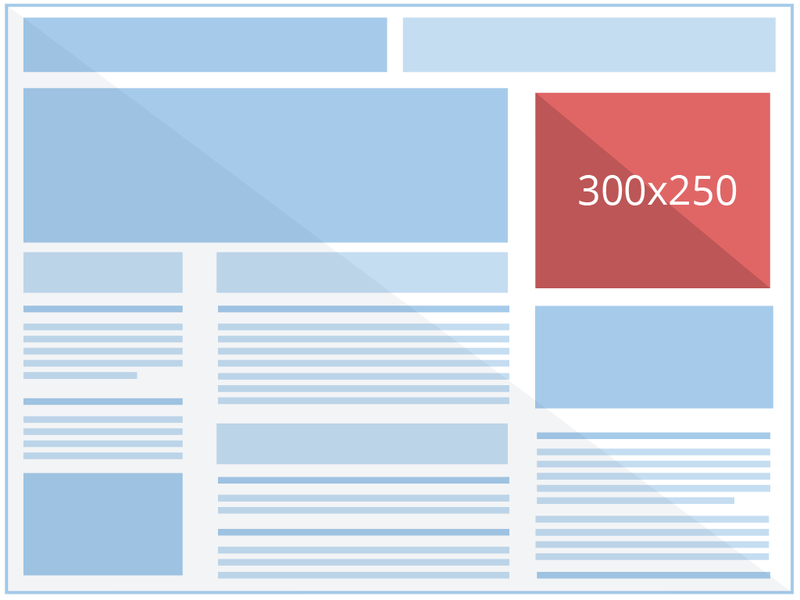 Advertisers pay for ad space in order to be front and center when their potential customers are online. As an AdWords advertiser, you decide how much you want to spend, how and where you want your ads to appear, and you can specifically target the ideal customer for your product or service. This level of control helps you focus your efforts and cut down on un-targeted ad spend. Additionally, AdWords offers different tactics for Advertisers. When setting up your campaigns, you have the option of using AdWords for Search or AdWords for Display. For some businesses a two pronged approach is necessary, thus using a combination of the two. The approach you use depends on your desired results and marketing goals. 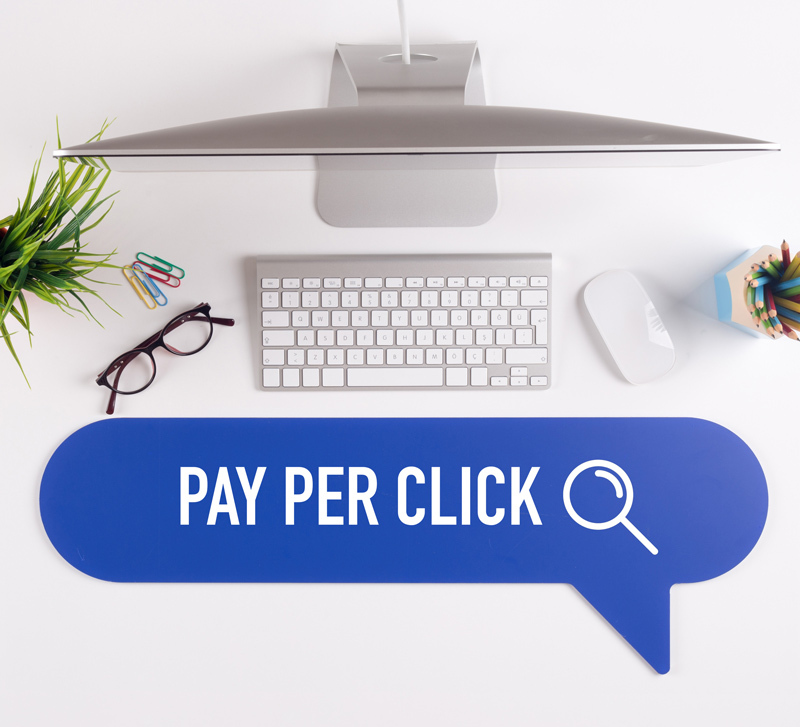 When a prospective customer is searching for a product or service on Google, the paid ads (either yours or your competitors’) get top billing in the search results, which ideally positions them to receive the most click activity. This is a very successful method for driving new and relevant traffic to your website. Increasing relevant traffic to your website should increase conversions, since your ad can be seen by someone at the exact time he or she is looking for the product or service you offer. Another way Adwords helps you reach your market is through their Display platform. With Adwords for Display, your ads gain impressions on blogs and websites related to your industry when your potential customers are browsing the web. Google has a huge inventory of website partners that participate in their display network. Display ads even appear on Gmail and YouTube. Adwords can track those who have visited or interacted with your website and deliver ads directly to these past visitors. This means they are reminded again and again about the service you offer, even after they leave your site. Remarketing is a very powerful tool that helps advertisers increase conversions.